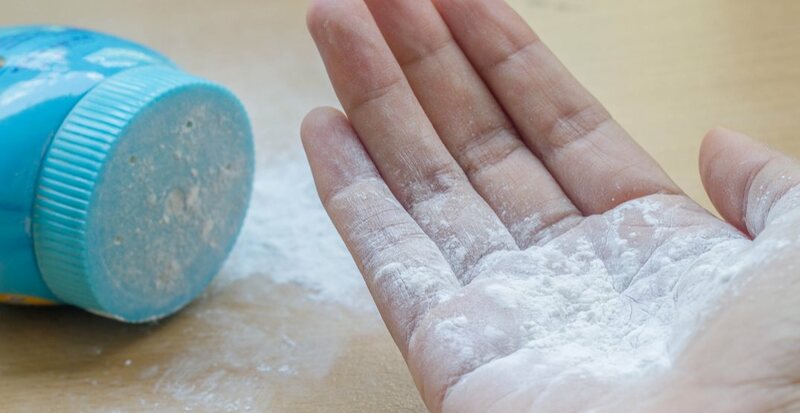 Health Canada has announced that talc –the mineral found in baby powder and cosmetics — could pose serious health risks. “Based on this draft assessment, current scientific evidence indicates that inhalation exposure to loose powder products containing talc such as baby, body, face and foot powders may cause non-cancerous lung effects such as coughing, breathing difficulties, and decreased lung function,” said Health Canada, in a release. However, Health Canada clarified that talc products that do not create dust clouds — such as pressed powder — are not linked to lung damage. The health agency also found talc was linked to ovarian cancer if applied to the female genital area. The assessment did not find any risks to products containing talc taken by mouth (such as prescription medication) or talc contacting the skin (excluding the female genital area). Check the ingredient list on product labels for talc and choose a talc-free alternative if concerned. The draft screening assessment will be published online on December 8. Health Canada is inviting the public to comment on the report until February 6, 2019.